Are you looking for Sweet 16 DJs? 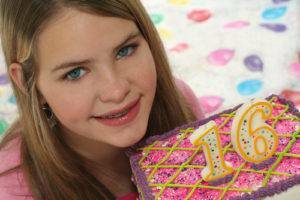 A sweet 16 party marks a teenage girl’s passage into early adulthood. In Latin America is called Sweet 15 and in some areas is more of a formal event. Girls turning sixteen is an important part of their lives and is considered a previous ceremony close to a wedding. That is why planning a party for them is important and should not be taken just as another birthday party. Planning a special party can take a lot of time depending on how detailed you want the sweet 16 to be. Also, is better to search for sweet 16 DJs as soon as possible. Once you decide on a date, consider any holidays and schedule accordingly because you don’t want an empty sweet 16 party. After selecting the venue, you could ask your DJ if he offers any other services available for your girls party. Sean Garrity Events and Production can cater any event planning for you and your daughter. Just pick a location, tell him what you need, and he will make it happen! For example, aside from a ballroom or party hall, your yard, a local park, or a community center could work as well. He offers custom lighting, party entertainment, photo booth rental and other party services, so you don’t have to look for all these services separately. So, who will be attending? Is good for our DJ to know if it’s going to be an intimate party with just family members or a big elaborate party. If is the second option a sweet sixteen party is not complete without a program that honors the birthday girl. 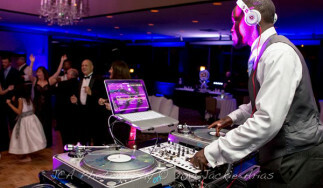 Our DJ is an EMCEE and can host your ceremony and plan games to entertain the guests. He will play the birthday girl favorite songs and give everyone a chance to dance and have fun.